Three years after it became compulsory for separating couples to consider mediating agreements before taking their cases to court, it has emerged that only four out of ten are complying with the landmark legislation. Introduced in April 2014, the law made it compulsory for separating couples to attend a Mediation Information and Assessment Meeting (MIAM) before they can apply for a court order to settle disputes over parenting, finance and property. But figures obtained by National Family Mediation (NFM) show that in 2016 over 60 per cent of couples ignored the law. 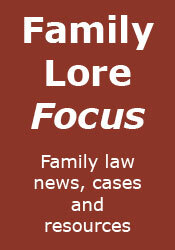 Of nearly 90,000 applications for private law proceedings to a family court, only 35,627 had followed the MIAM process. 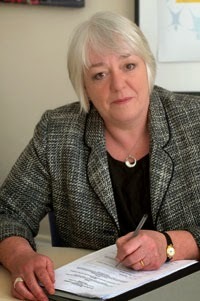 NFM Chief Executive, Jane Robey, says: “By making the consideration of mediated settlements compulsory, the government’s aim was help tens of thousands of couples who separate each year save money, time and stress in making post-divorce arrangements. “Only four out of ten couples are even attending the initial mediation awareness meeting, let alone following that route through to its conclusion. “Ministers need to get to grips with what’s going on and explain these figures. Until they do so, the 2014 legislation, though well-intentioned, will be seen as a failure. “Are solicitors finding their way around the law, encouraging their clients to exempt themselves from mediation, so that they can carry on with the case and carry on charging their clients? We are certainly seeing an increasing number of clients who have been told by their solicitor “go and see a mediator, get your form signed, and then we can go to court”. Those solicitors are treating the new law like a box-ticking exercise. “The role of family courts is pivotal, and we need to know how rigorously they are monitoring applications and checking compliance. There is absolutely no evidence that courts are using their powers to direct people to attend a meeting with a mediator and instead the courts allow the system to remain clogged up when there are effective alternatives available. “The government surely needs to be more instrumental in ensuring that the law is properly enforced so that much more mediation is delivered and many more families avoid high cost damaging litigation, achieving better outcomes for the whole family. The ‘traditional’ route for divorce sees a solicitor’s office and the court room as the first stop for separating couples looking to make arrangements over property, finance and children. Mediation enables and empowers families to take control over their own destiny, rather than handing it over to a family court judge. National Family Mediation’s expert professionals help separating couples agree settlements on property, finance and parenting issues without the need for a courtroom drama. They achieve full agreement in over 80 per cent of cases.